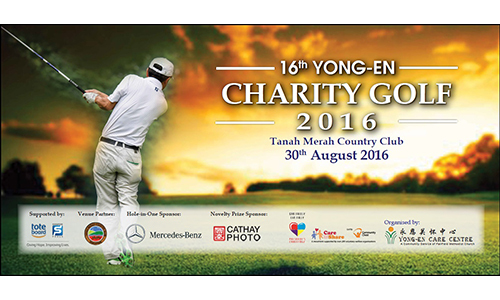 Support Yong-En Care Centre in their main fund-raising event for their 20th year anniversary by making a donation. 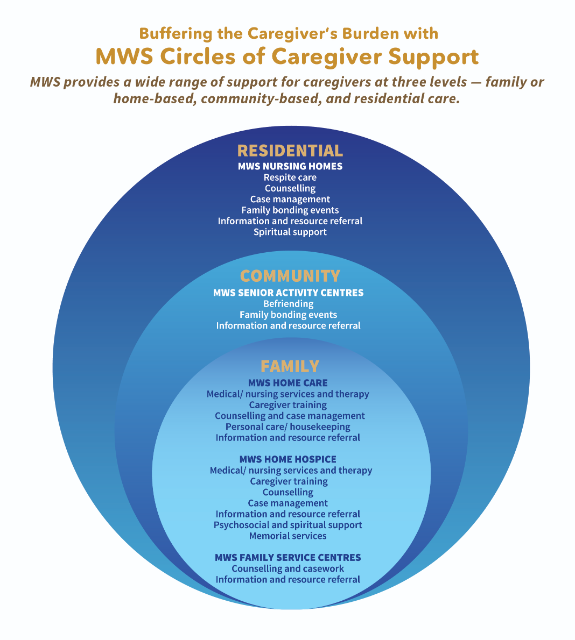 Your donation will see them closer to their goal of a Senior Care Centre Model – enhancing their elderly services to incorporate community rehabilitation and maintenance day-care programme, as well as providing ongoing, value-added community services to children, teenagers, individuals and families in Chinatown and beyond. Organised by Yong-En Care Centre. 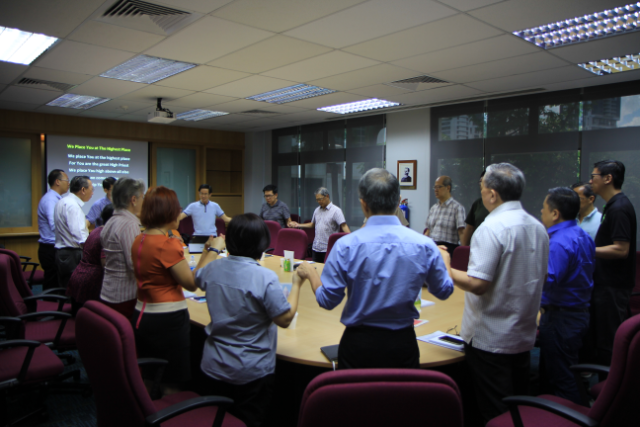 For more info, call Ms Ann Yeo at 6309-0582 or email ann-yeo@yong-en.org.sg. Date/Time - 13 Aug (Saturday), 10 a.m. – 6 p.m.
10 a.m. – 3 p.m. Sign your child up for music workshops, a masterclass and rehearsals at “Young Voices, Young Hearts”, the CAC Children’s Choir Festival. Fee: $12 per child (aged seven to 14), includes lunch, snacks, and score materials. 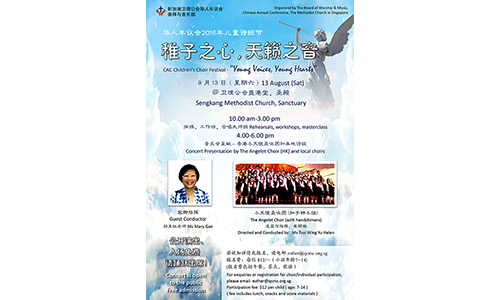 4 p.m. – 6 p.m. Come for a concert presented by local choirs and The Angelet Choir from Hong Kong, directed and conducted by Ms Tsui Wing Yu. Ms Mary Gan is the guest conductor. Free admission and open to the public. 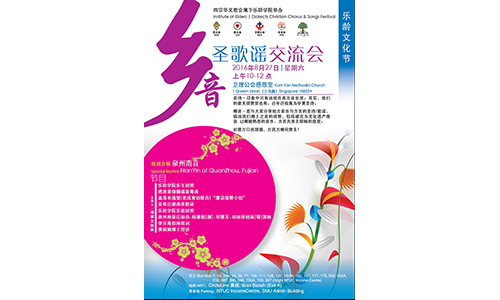 Organised by The Board of Worship & Music, Chinese Annual Conference. For more info, registration for choir or individual participation, email esther@qcmc.org.sg. Date/Time - 13, 20 & 27 Jul; 3, 10, 17 & 31 Aug 2016 (Wednesdays), 7.30 - 9.45 p.m.